Photo courtesy of Darlen Bieber PR. Some men and women struggle with gift ideas to get their significant other for Valentine’s Day. When buying a gift it’s important to plan and to also think outside the box. And if that person is a country music lover, then the answer is as simple as Brad Paisley. The country music heartthrob brings his Crushin’ It world tour to the stage of the BOK Center on Feb. 27. 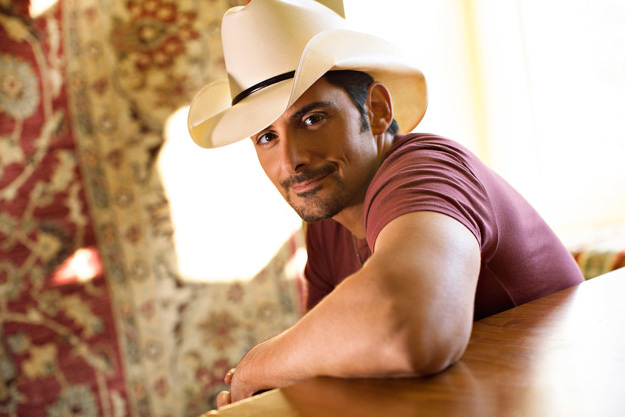 Yes, it’s a little late, but it’s never too late to warm your lover’s heart with their favorite country music singer. Since 1999, Paisley has been a major influence on the country music landscape with songs like “He Didn’t Have To Be,” “Letter To Me,” “The World,” “Then” and many more. A native of West Virginia, the 43-year-old singer, songwriter and guitar guru has won three Grammy Awards, 14 Academy of Country Music Awards and 14 prestigious awards from the Country Music Association, including Entertainer of the Year in 2010. Paisley’s most recent release, Moonshine in the Trunk, includes hits like “River Bank,” “Perfect Storm,” “Crushin’ It” and current single “Country Nation.” Signed to EMI Records, Paisley cracked the Billboard Top 20 with “Friday Night,” “Perfect Storm,” “Song About a Girl” and “She Don’t Love You,” all from his self-titled, 2014 album. Paisley’s current single “High Class,” will be included on a follow-up album anticipated for release in 2016. Tickets for the concert start at $35. For more information, visit www.bokcenter.com.